... the acronym for "Professional Reflection-Oriented Focus on Inquiry-based Learning and Education through Science". ... a project funded by the FP7 programme of the European Commission. ... a consortium of 21 partner institutions from 19 different countries. 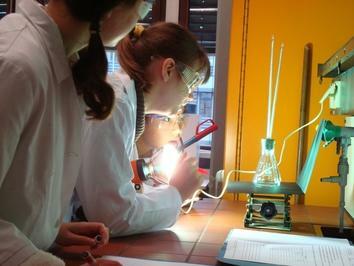 ... coordinated by the Division of Chemistry Education of Freie Universität Berlin. The PROFILES project – divided in eight work packages (WP) – aims at disseminating (WP8) Inquiry-Based Science Education (IBSE). To achieve this, the PROFILES partners are using and conducting innovative learning environments (PROFILES type Modules; WP4) and programmes for the enhancement of teachers’ continuous professional development (WP5). Both supportive action strategies are supposed to raise the self-efficacy of science teachers to enable them to take ownership in more effective ways in science teaching (WP6), so as much students as possible should benefit from the PROFILES teaching modules and approaches (WP7). All participants involved in the PROFILES project are supported by stakeholders from different areas of society (WP3). Overviews of the PROFILES project are provided in the partners’ national languages. News of the PROFILES project are permanently updated and the PROFILES Newsletters are available in English as well as in the national languages of the PROFILES consortium partners.